As we begin a new year, Simon has outlined some of our key new developments on the horizon. Here, we take a reflective look back and briefly recap some of our research and outreach programmes from last autumn. One of the highlights was the 200th Third Thursday Lecture celebration, which took place on 20 September. We were honoured to receive His Excellency Koji Tsuruoka, Ambassador of Japan to the UK, to give a deeply insightful and moving lecture on the history and future of UK-Japan relationship. Addressing the capacity audience, he spoke earnestly about the need for good comprehensive education. Our ability to strengthen our intellectual and moral capacity, in the Ambassador’s view, will help us overcome some of our pressing global, social, political and personal challenges. Our colleague Jane Emerson’s report covers the lecture in more detail. The long-brewing project on a manga exhibition by our Research Director, Professor Nicole Coolidge Rousmaniere, has been officially announced. The British Museum will host the largest ever exhibition on manga outside of Japan this summer from 23 May through to 26 August 2019. 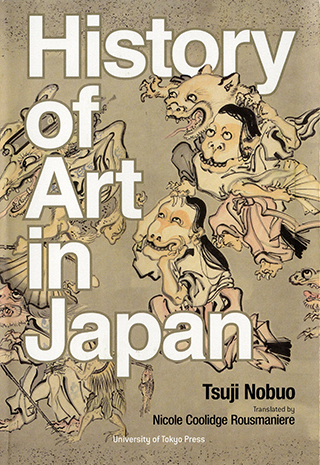 Manga is a distinct narrative art form that has a deeply rooted history in Japan. Globally popular and hugely successful, manga tells stories with a spectrum of themes, styles, voices and environments. The exhibition will prove to be immersive and playful to explore ‘manga’s global appeal and cultural crossoer, showcasing original Japanese manga and its invludence across the globe’. For manga converts, the exhibition is a natural port of call. For those critical of the graphic narrative art form, the show will certainly add a layer of new insight that may influence your future opinion on manga. Another key project that is moving positively forward is an archaeological exploration on religion. Titled ‘Arrival of Beliefs at the Extremeties of the Silk Road’, our Executive Director, Professor Simon Kaner, held a conference on 22 November 2018 to bring together specialists in archaeology, art and history of early Buddhism and Christianity to explore the adoption of these religions in a comparative context in Japan, Korea and around the North Sea (in particular Britain and Scandinavia). Inspired by discoveries of silk and other exotic items in Anglo-Saxon and Viking graves, objects such as the 5th century bronze Buddha figure discovered at the Viking settlement of Helgo in Sweden, evidence for Nestorian Christianity in China during the Tang dynasty, and the recent discovery of Roman coins from Medieval deposits in Okinawa, and the recent inscription of Okinoshima, known as the ‘Shōsoin of the Sea’ as UNESCO World Heritage, the conference explored the impact the adoption of new religions had on areas on the fringes of the Silk Roads in the second part of the first millennium AD. The conference is part of the lead-up to an exhibition being developed as part of the UK- Japan Season of Culture at the Sainsbury Centre for Visual Arts, at the University of East Anglia. The exhibition will be held in summer 2020. The working title for the project is ‘The Arrival of Belief at the extremities of the Silk Roads: comparing the impact of Buddhism and Christianity on the art and culture of Japan and Britain, 400 – 1000 AD’. Our Handa Archaeology fellow, Dr Uchiyama Junzo, has organized a workshop on the spread of Neolithic life patterns the following week on 29 September. Titled ‘Neolithisation from the Seas of Japan across the North Eurasian Greenbelt’, the workshop brought academics from around the world to develop an interdisciplinary perspective on Neolithic culture from archaeology, geography, linguistics, anthropology, genetics and biology. Junzo writes more about the workshop and his other research projects being carried out as a fellow in his article here. 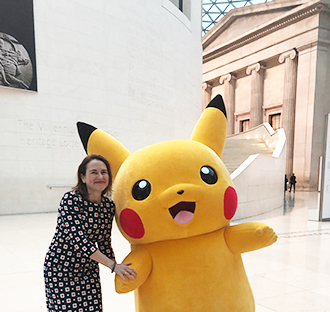 on manga outside of Japan at the British Museum in 2019. November Third Thursday on A Pair of Scroll Paintings: the Triple Images of Yosa Buson’s “Kite and Crows” by Takuyo Yasunaga, Tokyo National Research Institute for Cultural Properties. Symposium attended by Simon Kaner on Kojiki to kokka no keisei (“Records of Ancient Matters” and the formation of a nation state held at Kokugakuin University in Japan. And a lecture by Jennifer Coates on Imamura Shōhei: How to Win Fans and Influence People in the Postwar Japanese Studio System at the Japan Society in London.